Unless you’re one of those hardy wild campers who’s just spent a harsh February perched on Striding Edge in a bivvy, drumroll… the camping season is about to begin! I regularly research bivvies and think about being a hardy wild camper, but until I defrost from just thinking about it, I’ll keep pitching the living room-sized family tent – complete, of course, with folding table, chairs and the all-essential mini fridge. Whether you’re a hardy backpacker or an everything-including-the-kitchen-sink-er, you need to know about Gwern Gof Isaf. 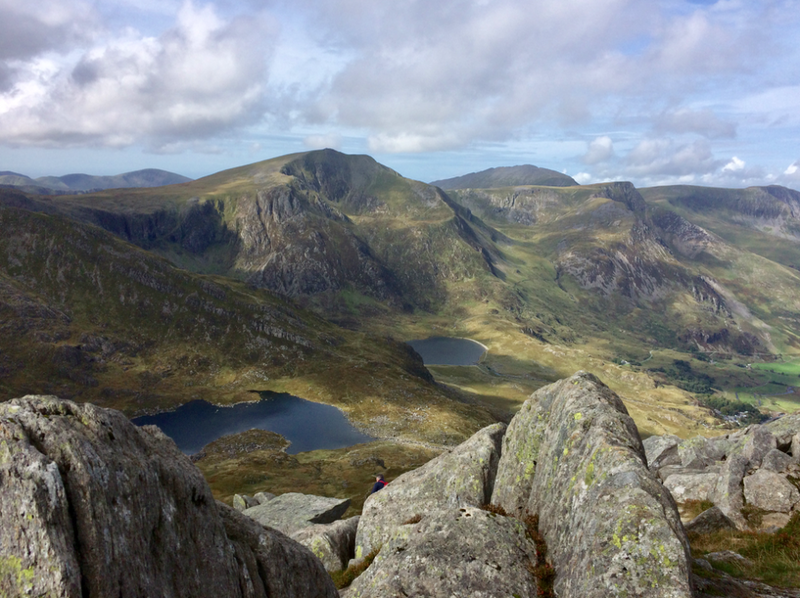 In the shadow of the formidable Tryfan in Snowdonia’s stunning Ogwen Valley, it’s the perfect base for family adventures, group hiking expeditions and solo getaways alike. 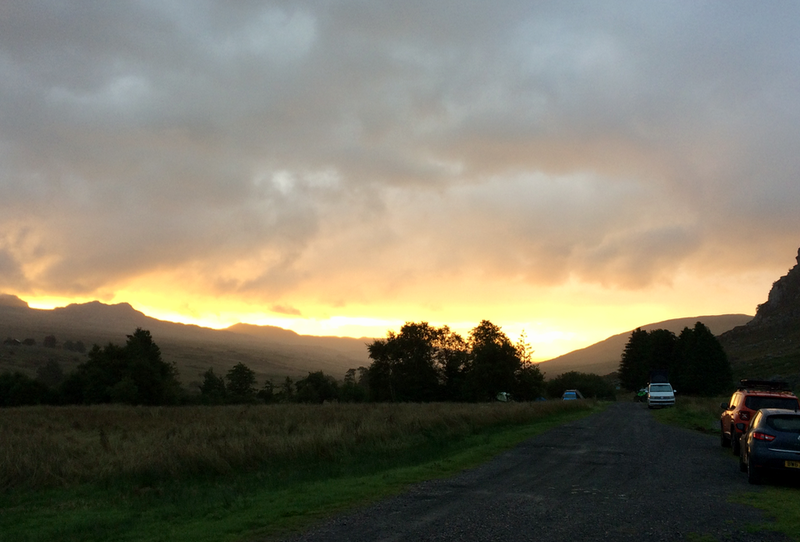 On the A5 between Capel Curig and Ogwen Cottage, it’s easy to reach – well, as easy as anywhere in north Wales – and welcomes visitors with a restorative calm as soon as you arrive. First things first – there’s no electric hook-up for tents, so don’t forget your 12v lead for that mini fridge. And these are no manicured pitches marked out with military precision, but that’s the point; you just pitch your tent in a clearing in the sheep, sit back and succumb to the views. The loos are clean, if a little chilly with a sharp Snowdonia wind whipping under the door, there’s a neatly converted washing up hut (with hot water; not a given on Gwynedd campsites) and a handy ‘emporium’, with a range of bare necessities such as toiletries and utensils available to buy or order. The showers are a bit of a faff, with a token system that isn’t explained on my late-ish Friday evening arrival. Cue a very kind man (yep, the shower block is communal) handing over the last of his tokens so I can soak my tired bones after the tough haul to the top of Tryfan. Once you’re in, the scorching water is bliss, but beware that the token meters are outside the shower cubicles – within the shared changing space – so unless you’re happy getting naked in front of every passing Tom, Jane and Harry before inserting your tokens, you’re left to do a pretty swift strip inside the cubicle while the lovely hot water is already running and the meter is counting down. That aside, Gwern Gof Isaf offers amazing value for the basic camper, at just £6 per person per night. For those who prefer a spot of luxury with their Great Outdoors – and are happy to dig a little deeper in their pockets – are a number of fabulous glamping options including spacious bell tents, a row of raised timber camping pods and Y Cwt Bugail, an upgraded shepherd’s hut with log burner. New for 2019 are outdoor hot tubs for guests staying in the pods, while there are also two spacious bunkhouses making a great overnight option for hikers embarking on the Cambrian Way or the Snowdonia Slate Trail. Not to be confused with Gwern Gof Uchaf campsite half a mile or so to the west, Isaf (meaning lower; ‘uchaf’ is higher) is a little further from Tryfan but still within an easy walk of its foot, before the serious scrambling begins. The Ogwen Valley is glorious, but the Glyderau and Carneddau are proper mountains needing preparation and the right kit. 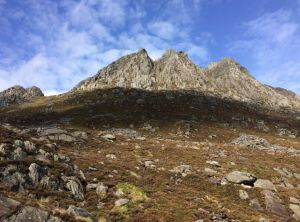 For a gentler stroll for families and anyone new to walking, drive to Ogwen Cottage and try the three-mile loop around Llyn Idwal. 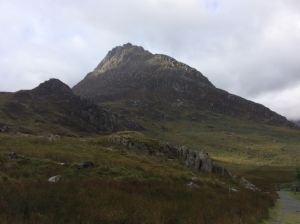 Peer up into the slabs of the Devil’s Kitchen, where a fierce mist usually swirls, and time your walk to watch the sun dip behind Y Garn, before driving down to ‘Pesda (that’s Bethesda to us non-Gogs) for wonderfully welcome fish n’ chips. Going camping anytime soon? You need Dr Bronner’s utterly amazing 18-in-1 liquid soap, you really do! And if you think it’s still a bit chilly for sleeping under canvas, try a bunkhouse… what could go wrong? !